Jason Starr was born in Brooklyn, New York in 1966. He grew up playing sports, such as tennis and baseball, and dreaming of pitching for the Yankees. In college, at Binghamton University, he took an interest in literature. He worked as a dishwasher, telemarketer, financial reporter, publishing assistant (he was fired from a publishing job at St. Martin’s Press for reading and writing at his desk), and computer networking salesperson before publishing his first novel in 1997. Starr is the author of nine international bestselling crime novels, set mainly in the New York City area:Cold Caller, Nothing Personal, Fake I.D., Hard Feelings, Tough Luck,Twisted City, Lights Out,The Follower, and Panic Attack. His latest novels,The Pack and The Cravingwere published by Berkley/Ace. Starr’s work has been published in over a dozen languages and he has been nominated for numerous crime fiction awards. In 2004 he won the Barry Award for Tough Luck, and in 2005 he won the Anthony Award for Twisted City. In Germany, Cold Caller was adapted as an hour-long radio drama by Deutschland Radio, and was chosen as one of the top 50 crime novels of the past 60 years by the prestigious newspaper, Süddeutsche Zeitung. In Germany and Austria, The Followerand Panic Attack have been major bestsellers. Starr has co-written three darkly comic crime novels with Irish novelist Ken Bruen—Bust, Slide, and The Max—and co-edited the collection Bloodlines: An Anthology of Horse Racing, which includes stories by Jane Smiley, Laura Hillenbrand, Daniel Woodrell and Jonathon Ames. Starr also writes comics and graphic novels for Marvel Comics, DC Comics, Vertigo Comics, and Boom Studios. His 2010 original graphic novel, The Chill, was a Diamond Top Ten Bestseller and was featured on Entertainment Weekly’s Must List. His work in comics has included characters such as Doc Savage, The Avenger, The Sandman, The Punisher, and Batman. His latest comics work is the bestselling Wolverine Max series for Marvel Comics, and the forthcoming comics series The Returning for Boom Studios. His recent non-fiction has appeared in Dodge Magazine, German Vogue, and The New York Times. Many of Starr’s novels have been optioned for film and TV, including The Follower, which is in development as an original TV series for Lionsgate, adapted by Bret Easton Ellis. A short film based on Starr’s short story The Bully won the 2009 EnhanceTV ATOM Award for Best Short Fiction Film, and was an official selection at the 2010 Palm Springs International Film Festival. Starr also writes screenplays, such as October Squall, produced by Halle Berry and Fox Searchlight, as well as an adaptation of Cold Caller which is in development as a feature film by Smoking Gun Productions/Gil Adler with Clayton Jacobson directing. Starr also recently completed the screenplay for Tough Luck, based on his novel, and to be directed by Michael Rapaport. Click on the images below to get to their descriptions on Good Reads! Please note, I’ve just put a few of Jason’s titles in this post, there are many more to check out if you like the sound of what you read. For my review of Savage Lane, please click HERE. After thoroughly enjoying Jason Starr’s new novel, Savage Lane, the lovely team at New Books Magazine arranged for me to have an interview with the man himself. We arranged to meet at The Wallace Restaurant, located within the Wallace Art Gallery in Manchester Square, London where there was a brief opportunity to view the beautiful paintings before I was due to meet Jason. I have to admit to being fairly nervous as other interviews I’ve conducted in the past have normally been through email but I had no need to worry. Jason, dressed casually in jeans and t-shirt immediately put me at my ease and was so warm and welcoming. After setting my phone up to record our chat (and praying that the recording would work!) we started chatting. Believe it or not, Jason was just a normal, very funny person who had a lot to say and was clearly passionate about his writing. The whole experience felt very informal and relaxed and I felt that I got a real idea of who Jason was as a person as well as an author. It was nice to also find out more about his life – at the time we met he was in the middle of a European book tour which saw him visiting Austria, Germany, England and Italy and it was interesting to find out that he actually studied in London for a while, so he was fairly familiar with the city, one of his favourite haunts being Camden. I thoroughly enjoyed meeting and interviewing Jason and now feel much more confident and excited about carrying out further face to face interviews for my blog. Thank you so much to Jason Starr for giving up his time during a very busy book tour and to the editor of New Books Magazine, Guy Pringle and Harriet at No Exit Press for introducing us. 1.) Congratulations on Savage Lane, a fantastic and darkly comic novel that fans of crime fiction/noir will love. How do you think that love or obsession as a theme is represented in your work? In many of my books there is definitely a theme of obsession but I think of it more in terms of what a character wants i.e. their goal and then trying to dramatise it in a way that is compelling which probably goes back to my background as a playwright. When I’m writing novels, particularly thrillers, I find there are many obsessive characters in my work, particularly in Savage Lane but also in my other novels. For example, in The Follower (which was a book about a stalker) and perhaps in my first novel Cold Caller where many characters want something. In Cold Caller he wanted the perfect job, in The Follower he wanted this ideal relationship and in Savage Lane, every character is obsessive in some way or another! So I think it has definitely become a theme in my books, partly for dramatic reasons because I find it a compelling way to build a thriller but I do think I’m also addressing themes that I think most people can identify with. Everyone has been in situations where they feel somewhat obsessive about things and hopefully readers of my novels can identify with a characters behaviour. This doesn’t have to be necessarily admiring it or feeling like it’s something they would aspire to in their own lives but feeling that they get this character and they understand what they want. I think if you really understand what a character wants, the character becomes compelling. 2.) Many of your characters in Savage Lane have something to hide. Did you have the full story mapped out before writing it or did you surprise yourself at times with an idea? It’s true, every character in this book does have a secret. I was really just focusing on the situation with Mark and Karen and the dynamics of this married guy and this divorced woman in a small community totally misunderstanding and misinterpreting their relationship. Then I began to build on these thoughts into a novel and it was only then that I thought about the other characters and figuring out who they were. Then I started consciously thinking about each individual having a different obsession and when everything came together it was clear that everyone was hiding something. Mark’s hiding this secret desire for Karen but his wife Debs… well lets just say they’re both hiding things from each other. Then the kids, as teenagers often do, are also hiding things from their parents. All of those dynamics are very relatable for the reader I hope as I think they’re very real. Granted I take things to the extreme in the book but at the same time I am trying to be as realistic as possible. If it comes off as being too extreme I think it’s only because it’s very real. 3.) I found your characters to be complex and incredibly fascinating, especially Mark’s wife Debs. By the end of the novel do you think any of the characters have realised the consequences of their actions? I think it was very important not to censor myself from being as honest as possible as I was writing. I wrote closely from each characters point of view and I had a real idea of who Mark was as a character. If someone thinks that a character like Mark doesn’t exist in real life that would be false as they definitely do. I think all the characters are delusional in a way and very dis-connected from their own thoughts and actions so I think a lot of them believe in the end that they are justified in their behaviour but I think as the book is a satire, there is a underlying sub-narrative where the reader can hopefully be the judge of their behaviour and decide for themselves whether they approve or not of their actions. I really wanted to have those two narratives or sub-text going on where the character feels justified but the reader understands this is not necessarily true and that they might be getting it wrong. 4.) You are recognised not only for your novels but for comics such as your Wolverine Max series. What are your views on the different ways your work can be interpreted i.e. pure prose versus a more visual medium? I think when I’m writing comics it’s certainly a much more visual experience, telling the story with images rather than words, in fact in as few words as possible. In the revision process of the comic I will take out as many words as necessary as I don’t want them to interfere with the art which should really be telling the story. In a novel it’s all about the words and you can get deeper into the psychology of the characters and the subtext we were talking about before, those layers of narrative. It might be possible to achieve this with a graphic novel but certainly for a novel the narrative takes on way more importance. 5.) If Savage Lane was to be adapted into a film, whom would you like to play the main characters? I always think about that but always after I write the book. While I am writing it it’s very hard for me to think for example what a character looks like. I barely describe them in the book, in fact I keep my descriptions to a minimum for a reason because I think it’s much more important to describe their attitude, getting down the way they talk, then each reader can come up with their own image of what this character looks like. Afterwards when I’m done with the book, like anyone I guess I start fantasising about who would play them in a film. Mark is a character that could be very widely cast but would be a difficult choice. He’s not as good-looking as he thinks he is so I’m not sure who would play him, that would be an interesting choice! I guess Diane Lane would be great for Karen and Julianne Moore would be perfect for Debs. 6.) Are you working on anything at the moment and can you tell us a little bit about it? I usually work on a few things at once. I’ve been working on a new psychological thriller, in the same genre as Savage Lane but very different characters and situation. I’ve also been working on a few TV projects and pilots, crime dramas which I co-write with another writer and working on a new comics projects with a licensed character which hasn’t been announced at the moment. I’m kicking around a few new ideas and I like that way to be honest as writing a book can be very solitary and I’ll keep the whole book in my head until it’s done so it’s a private process, whereas with other projects that are collaborative or in other mediums it’s a good balance to get out amongst the people and not be so introverted. And now for some quick fire questions! Real book, I think reading is multi sensory. It’s not just about the words, it’s about the smell of a book, the feeling of a book in your hands. E-books can’t replicate that! Stand alone. Up to this point, I have preferred to write self-contained stories. I do write a co-authored series with Ken Bruen, but in my solo books I like starting with a new set of characters each time. Fiction. 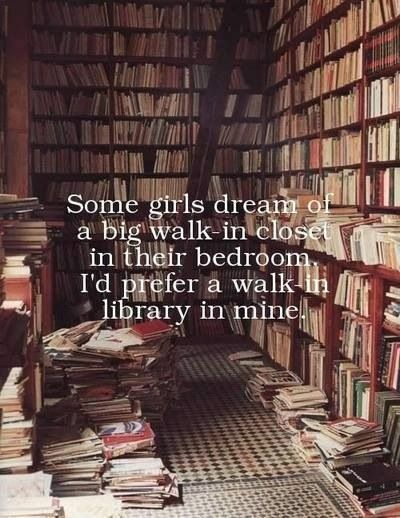 I read a lot of non-fiction too, especially biographies, but for pleasure I prefer losing myself in a good novel. Bookshop trawling! 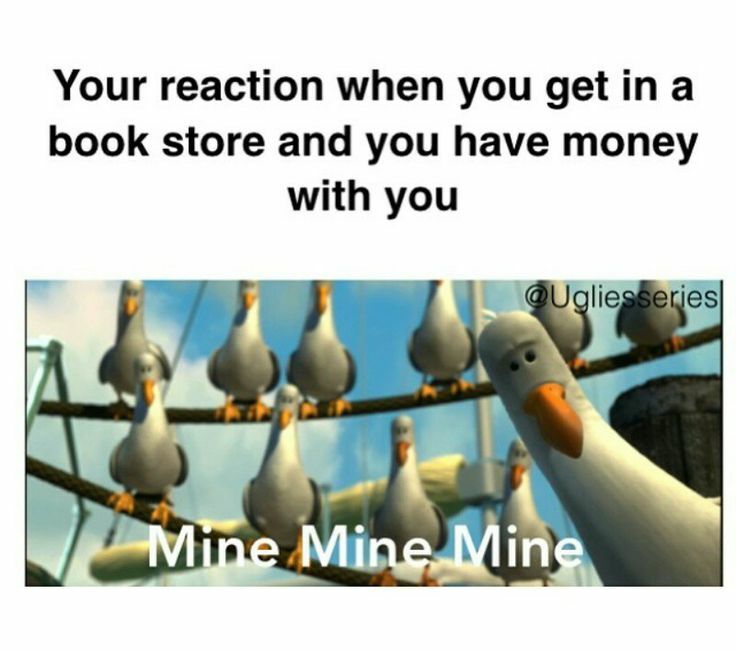 I just love book stores, and being around books. It excites me and brings me joy. Book marking. I don’t like damaging books. Oddly, I feel like a book is a living thing and I try to respect that! Once again, a big thank you to everyone who made this interview possible. It has also been published in the Winter 2015 edition of New Books Magazine, a subscription I have been enjoying for a few years now which I highly recommend to everyone who is a bit book-mad like myself! Visit their website HERE. Savage Lane by Jason Starr was published in the UK by No Exit Press on 2nd October 2015. From his back catalogue, I also highly recommend Panic Attack (review to follow shortly! ).